Most popular and simple savings. Ideal combination of life cover, liquidity and investments. Unique Combination of Endowment and whole life with provision of payment of Sum Assured, twice. A very unique plan unlikely to be available with any other institution which provides for pension throughout life. Seen in the photograph is Mr. Hemant Bhargava, Chairman (in charge) and Managing Director, LIC of India. Also seen are CBB Officials, Representatives from External Auditor of the Company M/s Deloitte & Touche Middle East, Representative of Shareholders and other Officials from LIC (International) and Intercol. The picture shows the Award is being presented by Dr. Tayeb Kamali, Chairman, Institute Of Directors – UAE and H.E. Mr. Vipul IFS, Consul General of India in Dubai, to Mr. Anirban Saha, Resident Manager – Bancassurance, LIC (International). Also seen standing Lt. Gen. J. S. Ahluwalia, PVSM (retired), President, Institute Of Directors. IOD – The Institute of Directors promotes the public benefit high levels of skill, knowledge, professional competence and integrity on the part of directors. It also promotes the study, research and development of corporate governance. Golden Peacock Awards, instituted by the Institute of Directors (IOD), India, are now regarded as a benchmark of Corporate Excellence worldwide. 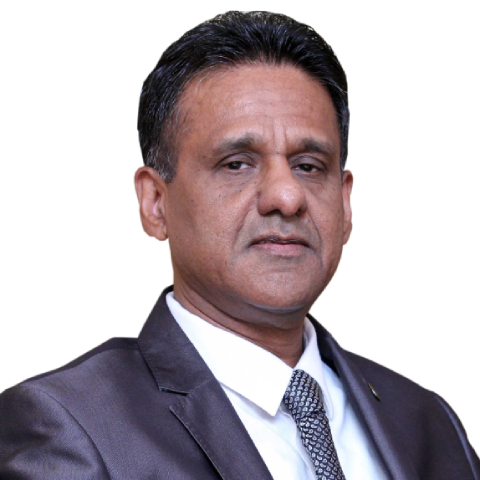 IOD Presents ‘Dubai Global Convention 2019’ the 29th World Congress on Leadership on Business Excellence and Innovation. 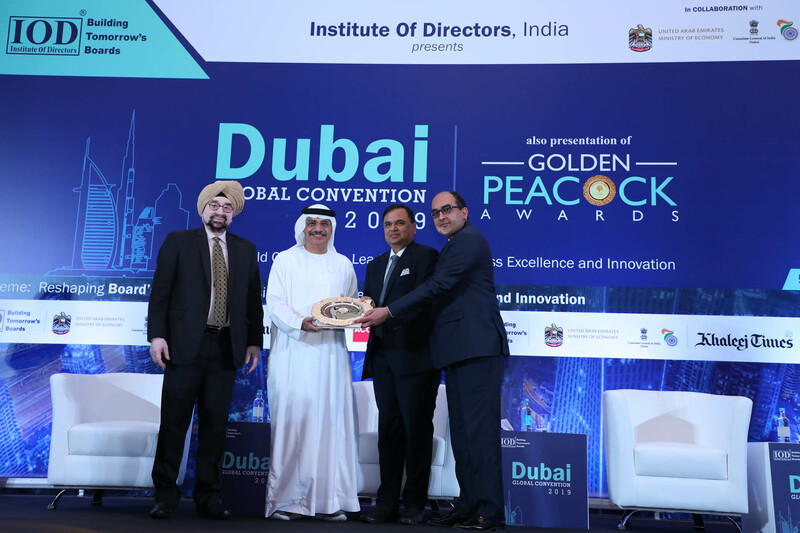 The convention took place at Hotel Habtoor Palace – Dubai, UAE on 6th March, 2019. 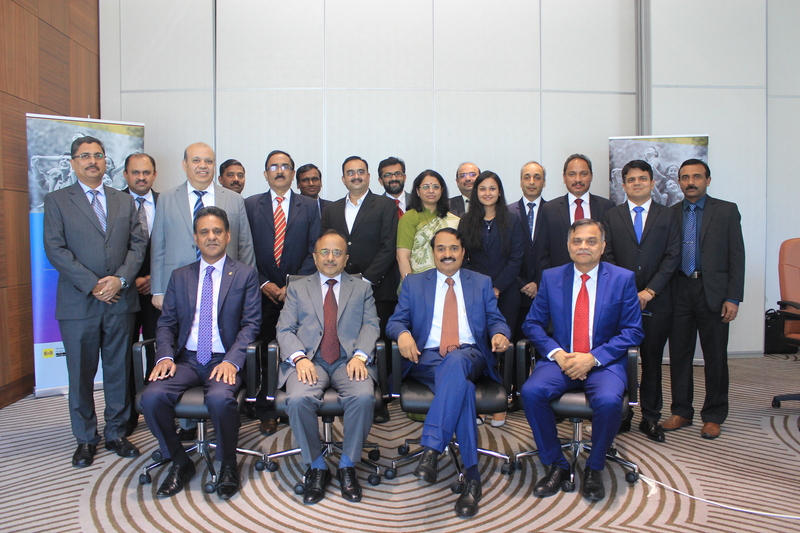 Seen in the photograph are Mr. Hemant Bhargava, Chairman (in charge) and Managing Director, LIC of India (sitting third from the right), Mr. B. Venugopal, Deputy Chairman and Director, LIC of India (sitting fourth from the right), Mr. Thomas Mathew T., Director, LIC (International) (sitting second from the right), Mr. Sunil Kumar Thakur, CEO & Managing Director, LIC (International) (sitting first from the right). Also seen are other officials of LIC International and Intercol standing behind. 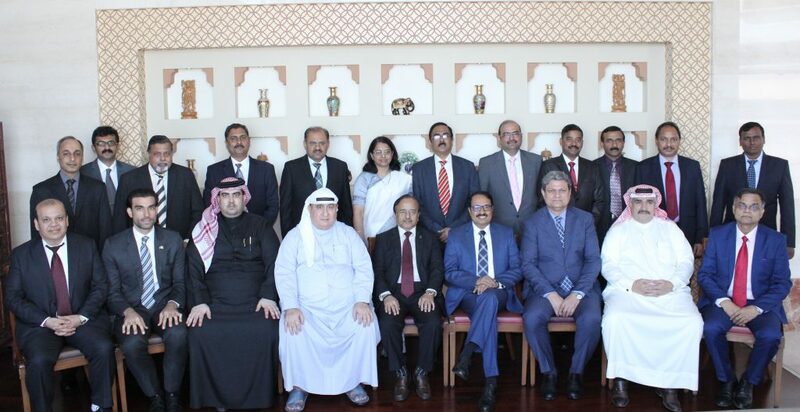 104th Board Meeting of the Company held on 22nd Nov., 2018 at Ramee Grand Hotel & Spa, Seef, Bahrain. Seen in the photograph are Mr. Hemant Bhargava, Managing Director, LIC of India (fifth from the right), Mr. Abdulrahman Ali Alwazzan, Director, Intercol (sixth from the right), Mr. Rajesh Kandwal, CEO & Managing Director, LIC (International) (third from the right), Mr. Thomas Mathew T., Director of LIC (International) (fourth from the right), Mr. Sunil Kumar Thakur, newly designated CEO & MD, LIC (International) (first from the right), Mr. Deepak Kumar, General Manager (standing sixth from the right), Mr. Saeed Al Saeed, Company Liaison Officer, Intercol (second from the right) and other officials of LIC International and Intercol. 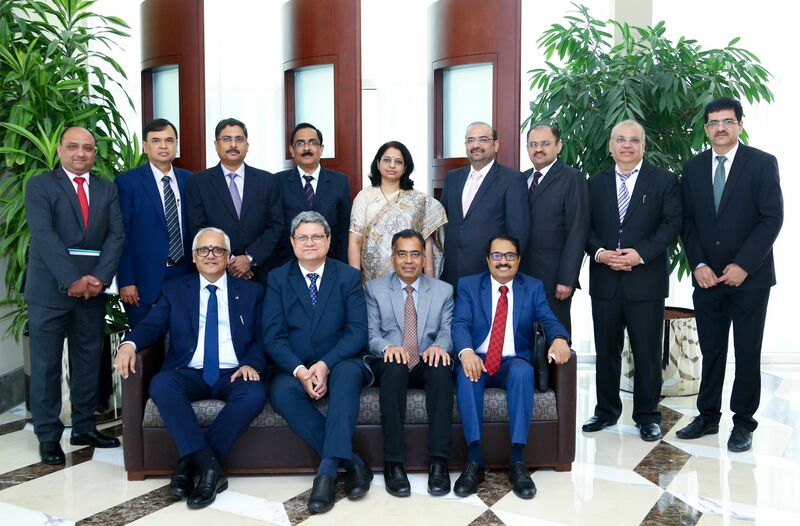 Seen in the photograph are Directors of LIC International (sitting Left to Right) Mr. V.K. Sharma, Chairman, LIC of India, Mr. Rajesh Kandwal, CEO & Managing Director, Mr. Thomas Mathew T., Director, LIC International. Also present are the officials of LIC (International). LIC (International) B.S.C. (C) is an offshore subsidiary of Life Insurance Corporation of India, an organization wholly owned by Govt. of India. LIC (International) BSC (C ) incorporated in the Kingdom of Bahrain ( C.R No. – 21606 ) and licensed by the Central Bank of Bahrain as a Life Insurance Company. 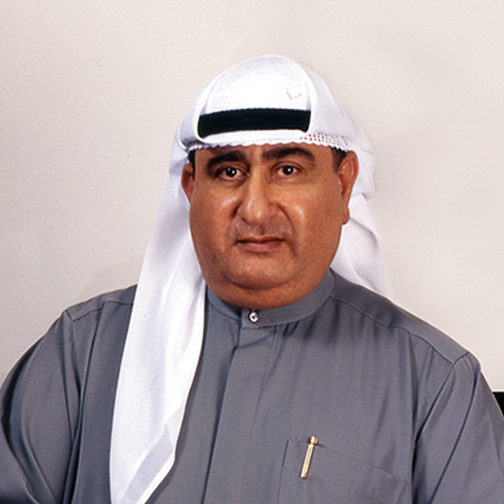 The paid up capital of the Company is US$ 52.91 million (BD 20 million). Chairman (in-charge) and MD of LIC of India. 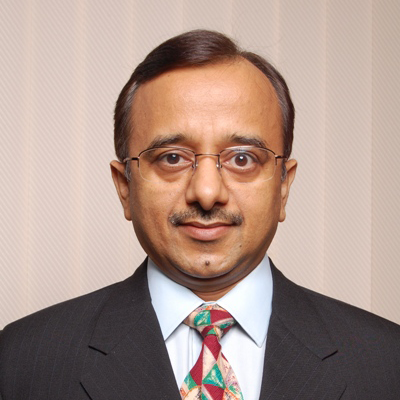 He is currently the Chairman (in-charge) and Managing Director of Life Insurance Corporation of India, Mumbai. 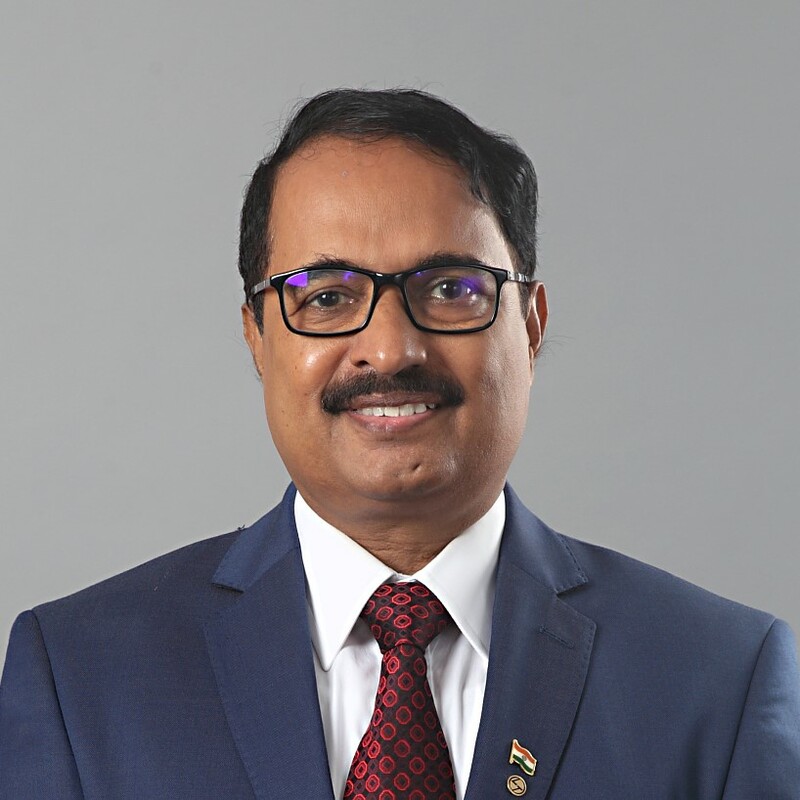 He is currently the Deputy Chairman of LIC (International) and Managing Director of Life Insurance Corporation of India, Mumbai. 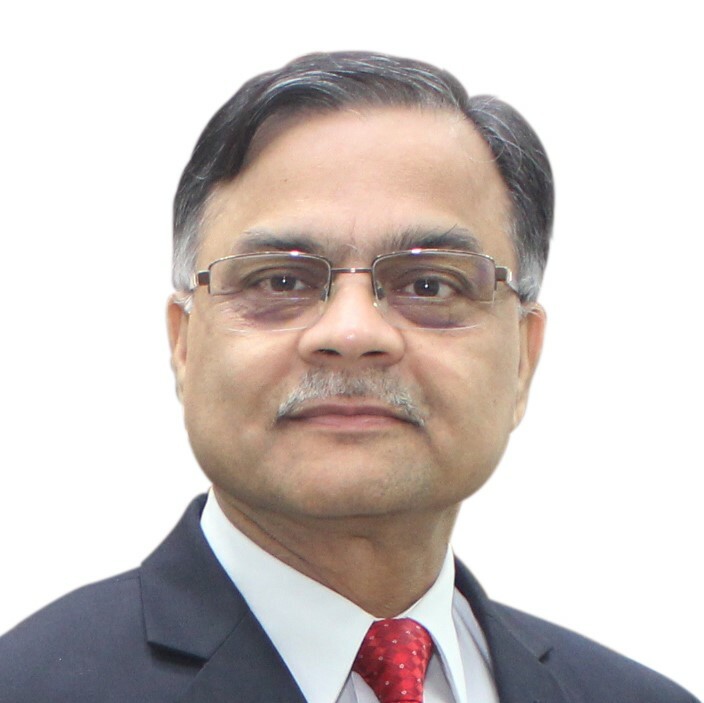 He is an independent Director on the Board of LIC International B.S.C.(C). A company incorporated in the Kingdom of Bahrain ( C.R No. - 21606 ) and licensed by the Central Bank of Bahrain as a Life Insurance Company with paid-up capital of BD 20,000,000.